A lunar eclipse on the winter solstice is a rare event that few will witness. The last lunar Solstice eclipse was 372 years ago. The Orcadian newspaper astronomer, John Vetterlein of Rousay, takes a closer look with some images of the eclipse from Orkney. The eclipse was only visible up to mid eclipse in Orkney, as this is the point when the moon is almost on the horizon. A good clear morning gave a chance to obtain some pictures of this amazing phenomenon. Whilst it is true that the night moon was exceptionally bright, the eclipse brings with it a copper glow as the earth casts her shadow over the moon. 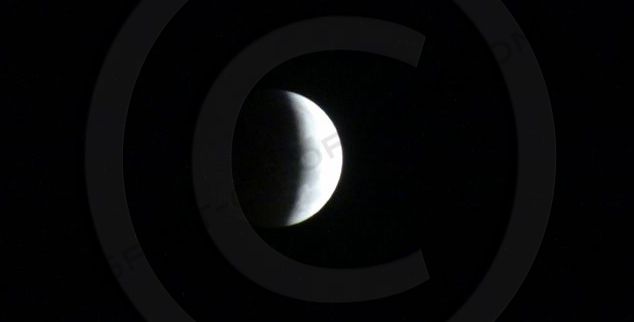 The 2010 solstice lunar eclipse began on Tuesday 21st December around 7.00am (depending where in the UK you live). Over a period of about an hour, the shadow of the earth gradually passed from left to right. If you were observing the earth from space, you would see a fiery glow around the rim (every sunrise and sunset around the world). This is the coppery glow that appears when the moon is eclipsed by the earth. People living in the northern hemisphere are no strangers to lunar eclipses in the winter, but records dating back 2000 years show only one instance of an lunar eclipse on the winter solstice (21st December) and that was in 1638. However astronomers say the next lunar eclipse on the winter solstice is only a mere 83 years away, on 21st December 2094.